At West Coast Solar, we only work with the best brands on the market. By choosing the best materials from the best companies, we ensure that our solar designs are the most sustainable and high-performing systems on the market. That’s why our Western Australia customers love us. Fronius are some of the most effective solar string inverters on the market. With decades of trailblazing products within the photovoltaics industry, Fronius develop state-of-the-art technology for large commercial systems and smaller personal solutions alike. As solar pioneers, Fronius works alongside West Coast Solar to deliver the next age of energy supply through 100% renewable resources. We’re thrilled to be one of the leading Western Australia installers of Fronius systems for our clients. The Galvo inverter is an innovative transformer inverter available in power categories ranging from 1.5 kW to 3.1 kW. This inverter is ideally suited to smaller residential power systems with limited needs. We can install the Galvo system to help you make the most of solar power for your own self-consumption needs. The Fronius Galvo also comes with integrated data logging, internet connectivity and more for exceptional functionality. 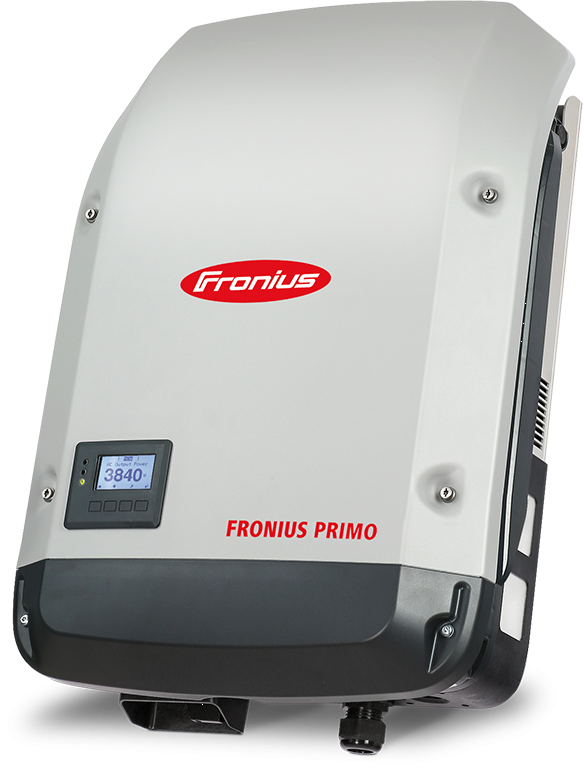 The Fronius Primo transformerless inverter is a capable system offering single-phase power between 3.0 kW and 8.2 kW. Perfect for residential systems, the SuperFlex design of the Primo makes it ideal for flexible integration and installation. Additionally, the SnapINverter mounting system makes maintenance even simpler. The service we provide for the Frontius Primo comes with a communication package via Wi-Fi or Ethernet connectivity. The solution also comes with energy management to help you enhance your command over both your power and the energy grid. 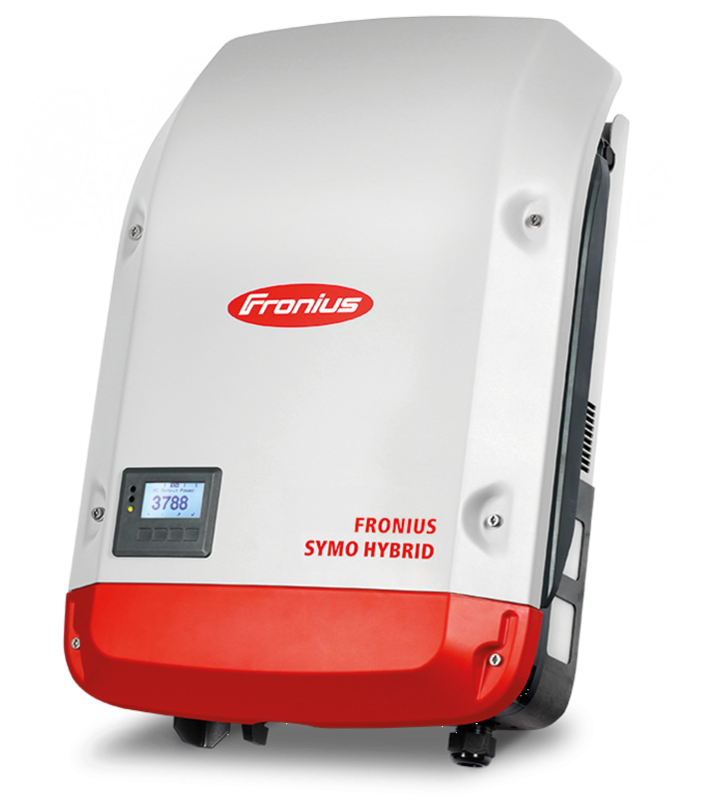 With three power categories available, ranging from 3.0 kW to 20.0 kW, the Symo transformerless inverter from Fronius is a three-phase system designed for buildings of any size. With high voltage capabilities built in and a wide input range, the Symo has it all, including two maximum power point trackers to improve flexibility of design. We’ll set you up with the Symo through an internet connection, and make sure that your inverter is recording all the right data for a more efficient energy strategy. One of the things that make Fronius so prevalent in the PV market is their commitment to a full end-to-end solar experience. They don’t just produce state-of-the-art inverters, Fronius also deliver top-quality solutions for energy storage and management too. The Fronius Energy Package storage solution helps you to manage the energy you collect from your PV system as efficiently as possible. This could mean storing extra energy through the day so that you can access it when you need it most or accessing an additional source of revenue by selling your power back to the grid. The Fronius vision of 24 hours of sun has lead to an energy package that’s perfectly suited to any consumer, including those with AC and DC coupled systems. The West Coast Solar team is on hand to help you choose your perfect system. At West Coast Solar, our commitment to excellence means that we’ll always go above and beyond to deliver the best solar power systems in the Western Australian market. That means that we not only hire and train the most experienced and innovative installation teams on the market, we also make sure that we’re sourcing the best equipment for your needs. As accredited service partners with Fronius, we have access to the latest and greatest developments from one of the industry’s most highly recommended brands. Additionally, our close connection with Fronius means that if you ever have an issue with your system, we’ll be able to get your system back up and running as quickly as possible, as part of our long-term aftercare package. Our technicians are thoroughly trained in the installation and management of Fronius technology.